In a previous post we saw how to configure Flexible Netflow on a 3850 stack acting as MC/MA. 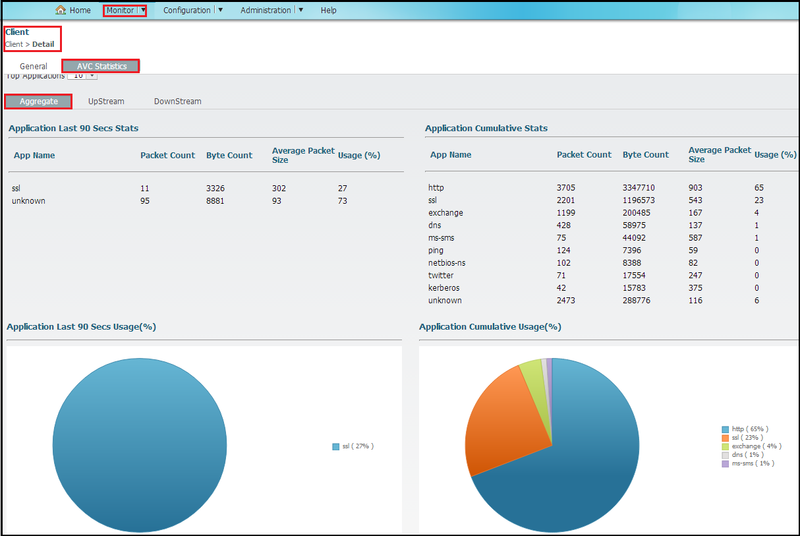 In this post we will see how to configure this feature (also known as Application Visibility) on a 5760. Here are the IOS-XE 3.3.0 supported features on this. Note that only Gen2 APs (1600,2600,3600,3700) supported. • Multicast/IPv6 classification is not supported. 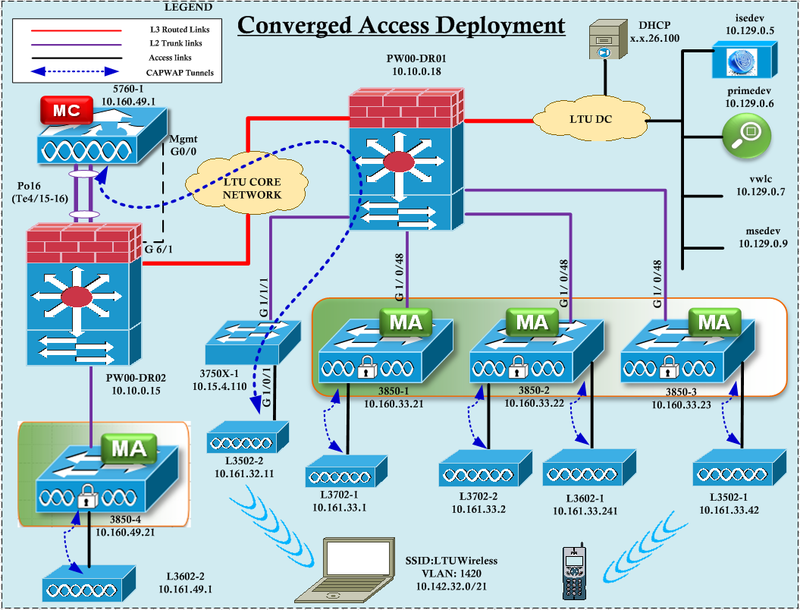 Let’s see how to configure this using our standard topology for CA post as shown below. We will configure this using GUI & then derive the CLI equivalent commands to do the same. Here is the default AVC settings under WLAN -> AVC section. You can enable this feature & select default profiles configured on 5760. If you look at the CLI config differences, you will see the CLI config lines added by the above modification. Now if you go to Monitor -> Controller -> AVC -> WLAN (& select the WLAN configured for AVC) you should be able to see the traffic statistics. But why it is blank ? This is because I am using 3502 AP model & it is not supported in this CA AVC deployment.No CLI output for the “show avc x” commands. 5760-1#show avc wlan LTUWireless ? 5760-1#show avc wlan LTUWireless top ? 5760-1#show avc wlan LTUWireless top 5 ? 5760-1#show avc wlan LTUWireless top 5 application ? Let’s get L3602-1 AP register to this 5760 & assign it to the LTU-CUWN AP group which was crated as part of a previous post. Then disable the L3502-2 AP in order clients to move to 3602. As you can see clients moved to L3602-1 AP. 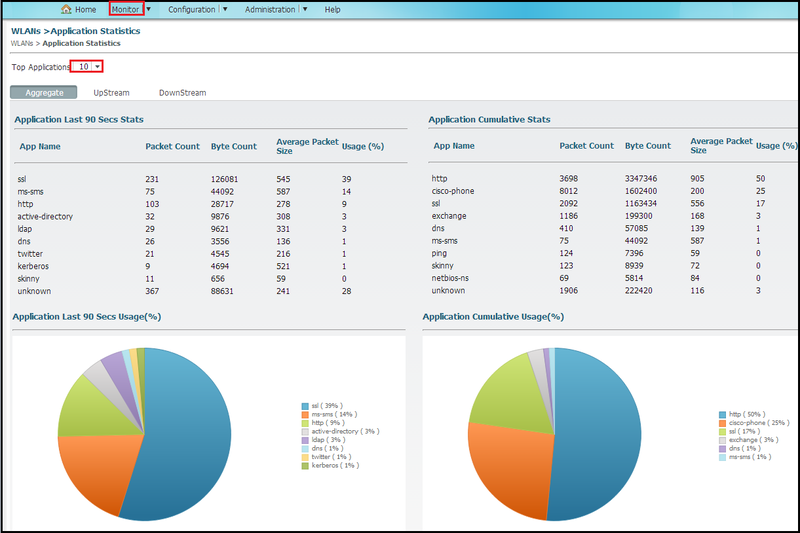 Now you can see this AVC statistics for WLAN (Monitor -> Controller -> AVC -> WLAN) or specific client (Monitor -> Client -> MAC address -> AVC statistics) as shown in the below two snapshots. You can monitor them in “Aggregate”, “Upstream” or “Downstream” fashion. WLAN AVC statistics A Clieent (Laptop) AVC statistics Now this is real time data. What about if you want to monitor this for period of time & some time combine multiple controller AVC stats. That’s where Prime infrastructure comes into play. 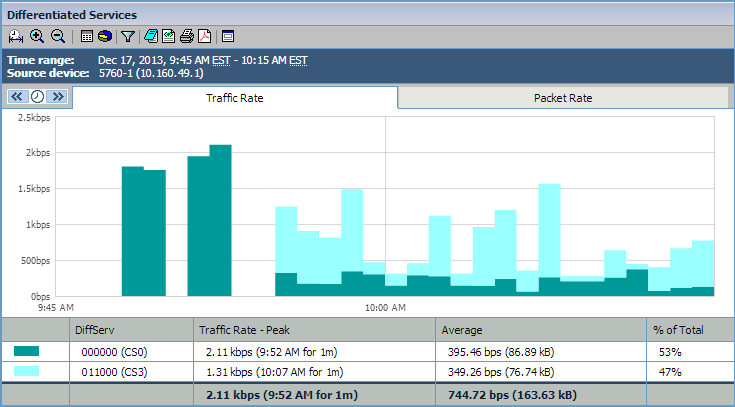 You should have Prime Assurance in order to get this netflow stats using prime. In my case I do not have Prime Assurance, but have 3rd party Netflow Collector. 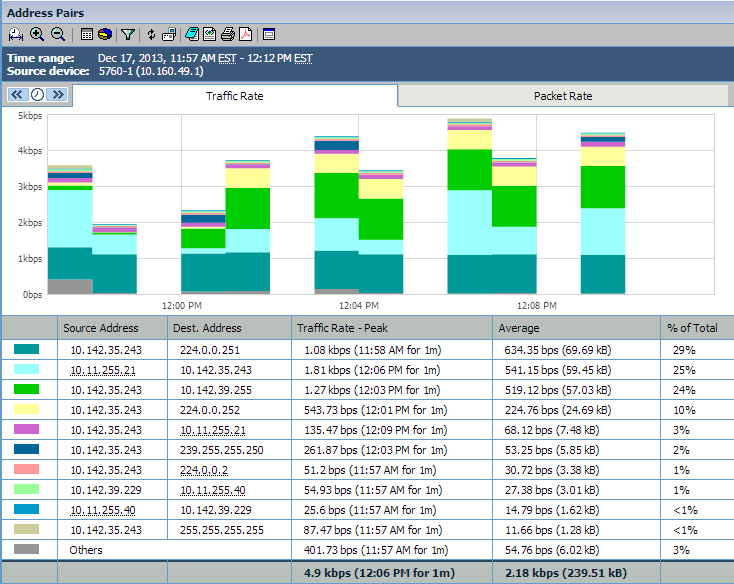 Now if you look at your Netflow collector tool you should be able to see the traffic. 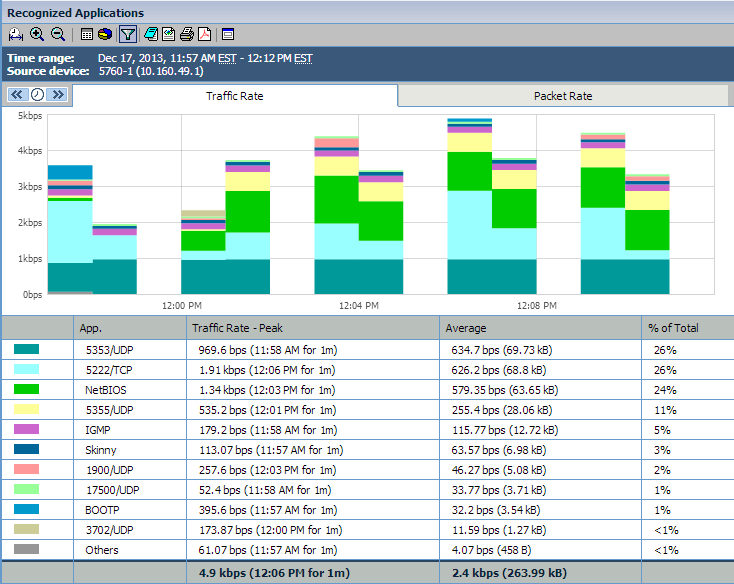 Here are some screenshot of my Netflow Collector statistics with respect to this. Here is the AVC deployment Guide for IOS-XE3.3 for your reference. Hi is it possible to configure the AVC to block certain type of traffic? Not sure Control bit in supported in 5760. In 3.3 code it was only visibility.